Netflix (NFLX) beat its own quarterly projections and ended 2014 with 57.4 million subscribers around the world, and it says there's still plenty of growth ahead. In the United States, the company will "eventually achieve 'must have' status in most households," it predicted in a letter to investors on Tuesday. Elsewhere, "progress has been so strong that we now believe we can complete our global expansion over the next two years, while staying profitable, which is earlier than we expected," the letter said, mentioning "200 countries." In the fourth quarter of 2014, Netflix earned $1.48 billion in revenue and reported a profit of $83.4 million. Investors signaled approval, sending the company's stock up 12% in after-hours trading. The streaming site said it added 4.3 million new members in the fourth quarter, compared with 4.07 million additions in the same period the prior year. 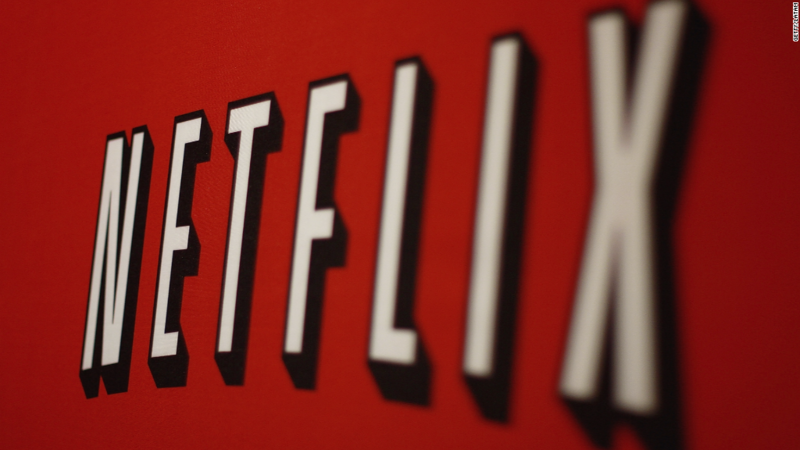 Netflix now expects to end the first quarter of 2015 with 61.4 million global subscribers. In a conference interview with investors, Chief Content Officer Ted Sarandos mentioned that there's a lot of content on the docket for the streaming service in the upcoming year. "We're releasing 320 hours of new original programming this year alone," Sarandos said. This includes programming to the epic scale of its new original series "Marco Polo" and smaller productions like its upcoming Tina Fey comedy. "We're not going after one kind of audience, or one type of show," he added. Its investors letter also included this surprise: that Sony's controversial comedy "The Interview" will be available for streaming in the U.S. and Canada on Saturday. Netflix also reported that it's available in around 50 countries and has a goal to expand to 200. This even includes a plan to have a presence in China. "For China, we are still exploring options — all of them modest," the company said. "We'll learn a great deal if we can successfully operate a small service in China centered on our original and other globally-licensed content." The company's earnings come just a day after one of its biggest rivals, Amazon (AMZN), announced that it will be entering the movie-making business. Amazon announced Monday that its Amazon Studios division will "begin to produce and acquire original movies." This includes releasing films in theaters and then premiering them on Prime Instant Video 4 to 8 weeks later. Amazon Studios was also behind the site's acclaimed TV dramedy "Transparent," which picked up two Golden Globes at a ceremony earlier this month. Not to be outdone, Netflix also picked up some gold at this year's awards when Kevin Spacey took home the Golden Globe for his performance as the evil Frank Underwood on "House of Cards." Tuesday's investors letter said that "last year our original content overall was some of our most efficient content," meaning "our originals cost us less money, relative to our viewing metrics, than most of our licensed content, much of which is well known and created by the top studios."